Hi! Have you every thought about making your own gift wrap? I know there are wrapping papers and gift bags everywhere but it is fun to make something special when you have a special gift to give. 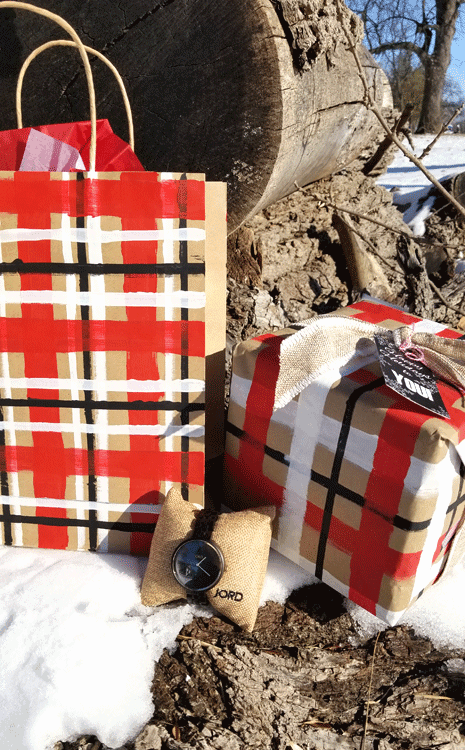 So, today I am showing you a tutorial for making your own DIY plaid holiday wrapping paper for a special gift like a new JORD wood watch. This post is sponsored by JORD. 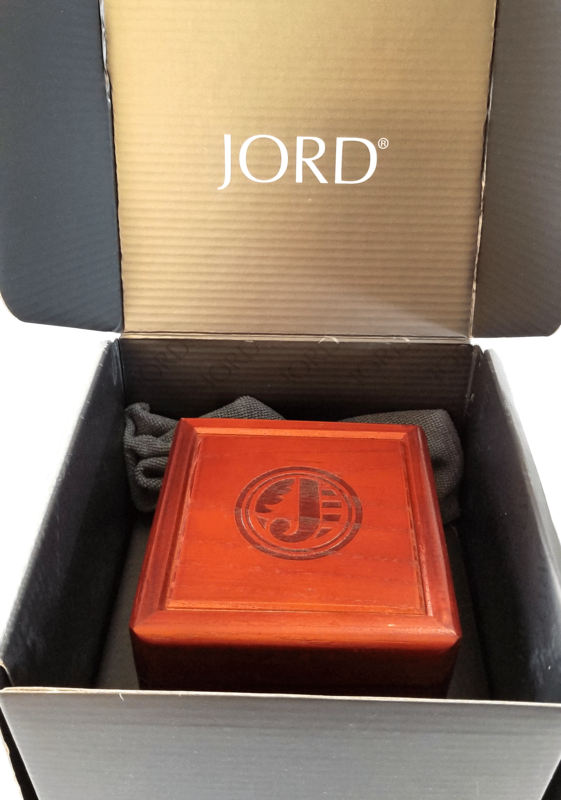 The folks at JORD were so kind to send me this watch in exchange for this post but please know that all opinions are my own. 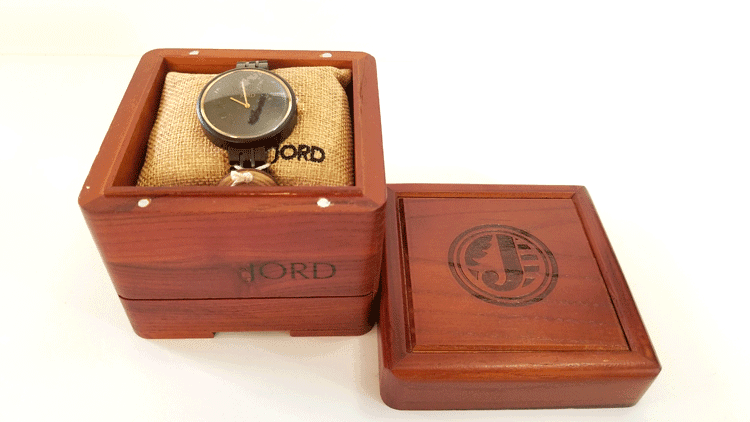 First I want to talk about these wood watches. The watch I received is from the Cassia Collection and it is called Ebony & Sable. I wear a lot of black and gray so I thought this watch would fit in nicely and enhance my jewelry and clothing. It includes roman numerals that reflect and shimmer and the gold hands make it easy to tell the time. I was so excited to receive it in the mail and even the packaging is nice. 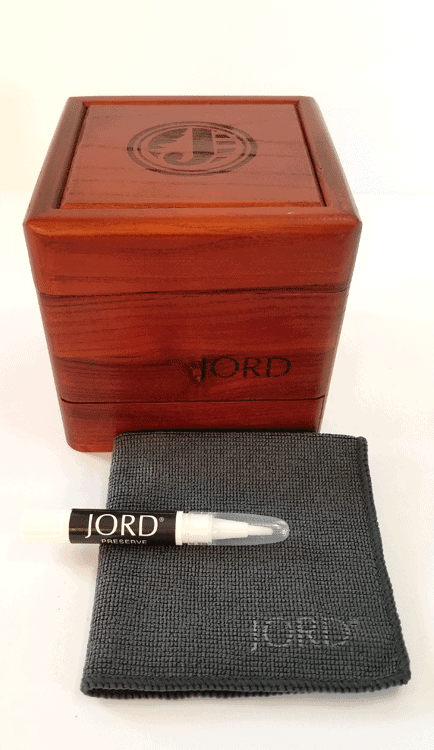 It comes in a really nice cedar humidor box with the JORD logo and even a drawer for keeping the cleaning cloth and the JORD Preserve: a custom-formulated wood treatment gel. All of this comes with every watch. It is also wrapped around a small burlap pillow. I think this may have been my favorite part. I used to wear watches all of the time and had one that matched just about every outfit but when I started carrying my cell phone around that stopped. Missing a watch never even crossed my mind until now but I really did. It has a pretty large face and I wasn’t sure I would love the darkness of the face either but now I love it. At first it seemed heavy but I think it was because I hadn’t worn anything on my wrist except the occasional bracelet but now I am used to it. It surprised me and now I wear it everyday. 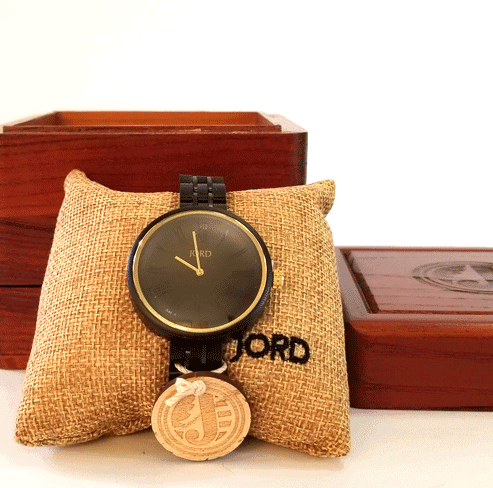 It really would make a great gift and who wouldn’t want $100 toward a beautiful watch? Her are some nice things about the watches. This post isn’t just about beautiful watches and gifts it is also about creating your own special gift wrap to go along with that gift. I am including some crafty affiliate links for your convenience! You can read my full disclosure here. Brushes – As wide or as thin as you want your plaid stripes to be. 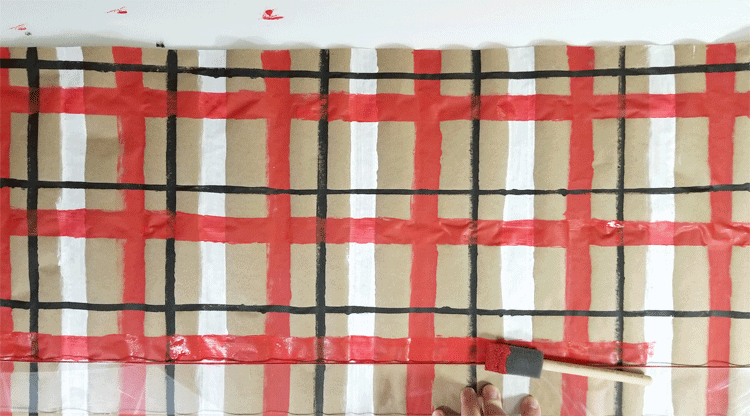 Cut the wrapping paper to the size you need then start painting the stripes. Use a straight edge to get them straight but expect to make them perfect. Perfect was not my intention. It was rustic and fun that I was aiming for. I thought about using some low tack tape to create lines that were a little crisper but I really didn’t even think the low tack would come off without ripping this paper. So, I basically just free handed them. The paper got a little wavy but it did not hinder the final wrapping of the gift! I did one color all the way across, let it dry then moved on to the next color. But you can see in the video below I got smarter as I went along. I painted the lines alternating the colors which made it a little faster. I am not sure why I didn’t think of that to begin with. Oh well…live and learn! Then I moved onto the lines in the other direction. You can see my straight edge at the bottom. It is clear acrylic. Be sure to wipe the paint off in between each painted line. This keeps you from transferring paint from the straight edge to the paper. 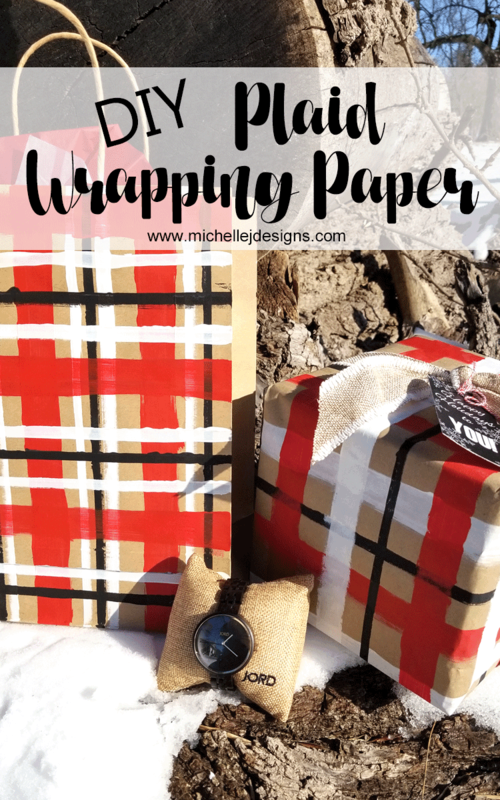 I think it turned out nicely and I hope you love the DIY plaid Holiday wrapping paper too! If you like the fun gift tags on these gifts you can visit my Mason Jar Gift Card Packaging post and download them for free. Thank you Lori Jo! It was fun to make and will be fun to give too. I gave my son one last year and they are great watches. I do love this watch. It is pretty and I love the black. It goes with everything. What a great gift for your son. I had never thought of painting my own wrapping paper! Great idea! Hi Julie! I really don’t do it that often although I love to create mason jar gifts and things like that but this is something special that I like to do every once in a while. I love to paint! I entered to win the watch which is one of nicest watches I have seen. Thanks for the nice giveaway. Hi Sue. Thank you for entering. I hope you are the winner! Such a fun project! I love the plaid, and the inspiration. Happy Holidays! Thank you Lidy! I love the rustic plaid. Buffalo check is one of my favorites but I wanted some different sizes in my stripes. Love your gift wrapping paper Michelle. 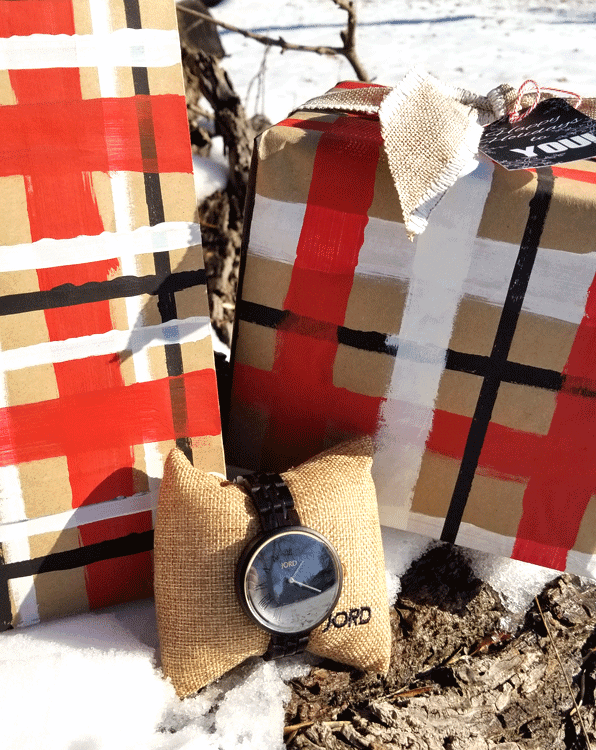 It is perfect in its imperfection and great for wrapping a gift such as that sweet watch! Hi Mary! Thank you so much. I loved that it was not perfect. I am glad others see it like I do. What a beautiful masculine gift. 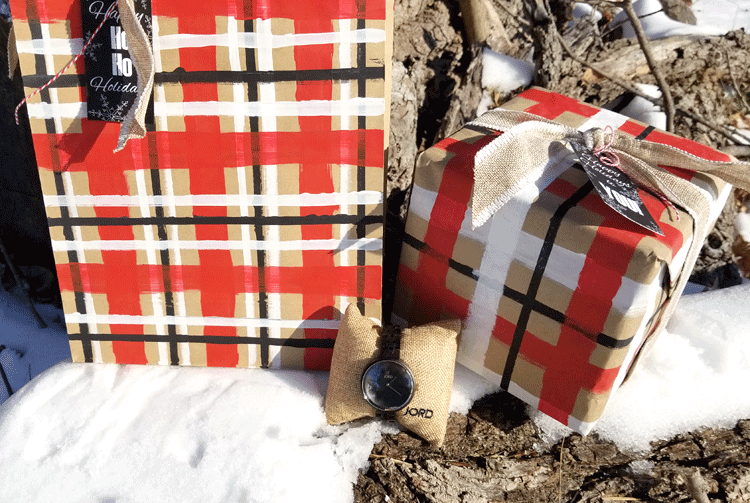 I think you DIY wrapping paper suits the wood box and the watch perfectly.